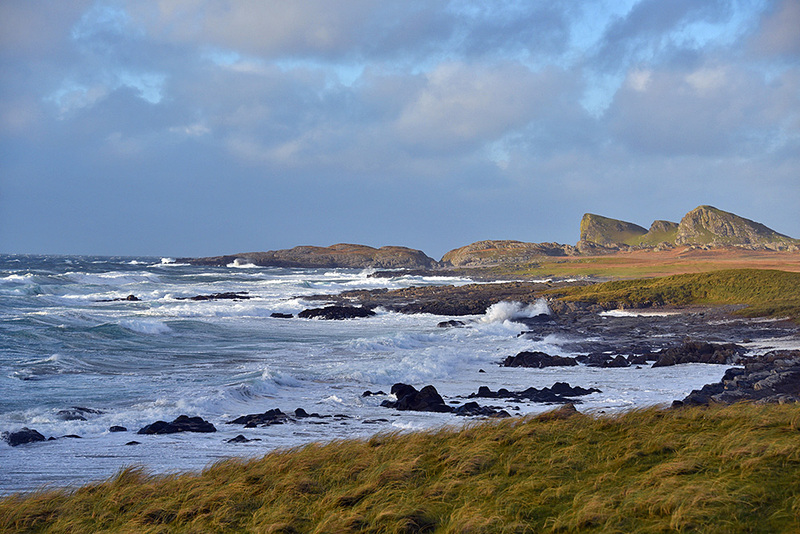 A view north in Saligo Bay on a breezy November afternoon on the west coast of Islay, big waves rolling in from the Atlantic. This entry was posted in Beaches, Cloudy Weather, Landscape, New Post, Sunny Weather and tagged Islay, Opera House Rocks / Sleeping Giant, Rhinns of Islay, Saligo Bay by Armin Grewe. Bookmark the permalink.